There are over 4.3 million South Asians in the US. 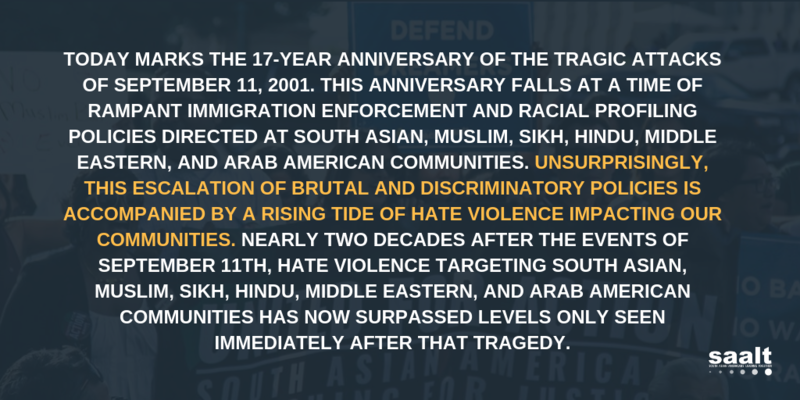 Since 2000 the South Asian community as a whole grew 81% over a ten year period. The four largest South Asian groups in America are the Indian, Pakistani, Bangladeshi, and Sri Lankan communities. Where do South Asians in the US live? South Asians live primarily in metropolitan areas on the East and West coasts. The metropolitan areas with the largest South Asian population are: New York/New Jersey, San Francisco Bay Area, Chicago, Los Angeles and the Washington DC Metro Area. In New York City, the Indian, Pakistani, and Bangladeshi communities are among the six largest Asian American groups. South Asians were also the fastest growing Asian group in California in 2000. There are sizable emerging populations in various parts of the United States, including Houston, Atlanta, and Seattle. Limited English Proficient (LEP) denotes individuals whose ability to read, write, speak or understand English is rated less than “very well”. Nearly half of Bangladeshis, a third of Pakistanis and a quarter of Indians are LEP.